iPad 3 "obsolete"? 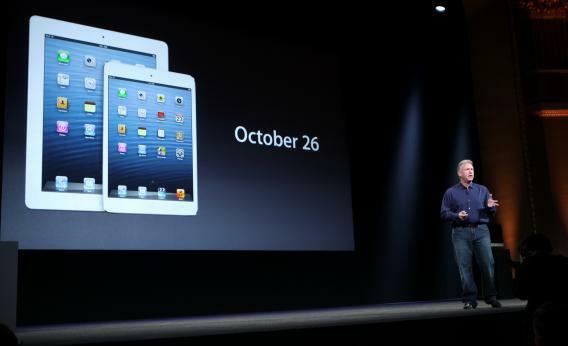 Apple owners oddly angry at ipad 4 release. Apple’s Phil Schiller, cruelly forcing people to buy a new product. Of all the complaints leveled at Apple following its iPad launch event on Tuesday, the most persistent—and most fatuous—is that the company somehow betrayed owners of its existing products by releasing new ones. “Are you annoyed that your iPad 3 is now obsolete?” Forbes asked. “Third-gen iPad owners: does the fourth-gen iPad irk you?” Ars Technica wanted to know. A CNET editor went ahead and answered the question himself, whinily and in the affirmative. Cult of Mac polled its readers: “Are you pissed that your iPad 3 is obsolete?” A healthy majority chose, “Hell yes I am. I just bought it a few months ago.” Mashable was moved to compile a list of the 20 angriest iPad 3 owners. The background: Apple released its third-generation iPad in March, improving on the iPad 2 with a retina display, a faster processor, better cameras, and 4G LTE wireless capability on the higher-end models. Then, on Tuesday, the company surprised people by launching not only the much-anticipated iPad mini, but a fourth-generation iPad. The new device offers marginal improvements over the current one, including a still-faster processor. It will cost the same amount. From the reaction, you’d think Phil Schiller had just decreed that all the iPads purchased in the past seven months would turn into pumpkins at midnight on October 26. Guys, allow me to let you in on a little secret: Your iPad still works. The release of a new device will not cause the third-generation model to browse the Web any less swiftly, display movies any less brightly, or run Fruit Ninja any less smoothly than it did before. And as my colleague Farhad Manjoo points out, if you bought the third-generation iPad when it came out, it has already provided you with half a year’s worth of functionality. The new one is hardly so groundbreaking that it would have been worth the wait. Unless, of course, you’re buying Apple devices not for their functionality, but purely for the frisson of brandishing the latest, trendiest gadget. If so, fine—you’re certainly not alone. But if you’re going to blame someone for “making you buy” the company’s latest products, you might want to take a gander in the mirror.